You’ve noticed that your dog appears to like some people more than others. Even if your dog sometimes shows aggressive tendencies toward people, he or she might not be bothered with certain people. Why is this? I’ve found there are four different ways that people interact with unfamiliar dogs. And how people relate to dogs that don’t know them makes all the difference in the world to dogs. The Cynophobic (pronounced sign-oh-phobic) Person is the unfortunate human who is phobic of dogs. A phobia is an irrational fear of something. Granted, there are definitely some dogs where we need to use caution, but most dogs are pretty darn nice to be around. The Indifferent Dog Person is the individual who couldn’t care less about dogs. He or she has never had one and doesn’t see what all the fuss is about. Doesn’t really hate ‘em, but doesn’t really love ‘em either. These people, surprisingly, get along well with just about every dog they meet because they don’t threaten or annoy dogs. They simply don’t want to connect with dogs and, ironically, most dogs prefer that kind of interaction when people first meet them. The Dog Lover Person is someone who absolutely loves dogs and wants to be around them as much as possible. They have several dogs of their own and frequently are involved in some kind of animal volunteer work. But some Dog Lover Persons cannot understand why some dogs don’t really like them that much when they first meet them. The reason is, unlike the Indifferent Dog Person, they go overboard with attention when they first meet dogs. Their voice gets loud and high pitched, they move directly into the dog’s face and they start petting the dog on the top of the head – most dogs don’t like any of these things when first meeting a new human. The problem gets compounded because the Dog Lover Person perceives that the dog is not responding to this attention so he or she escalates all of these annoying behaviors which only makes things worse. Many people in the pet industry, including some vet staffs and veterinarians, have difficulty meeting and interacting with some dogs precisely for this reason. The Dog Knower Person knows that correctly greeting dogs is no mystery; it’s a discipline of entering their world in a way they respond to, not in a way that humans prefer. 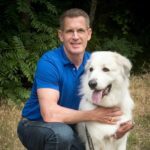 Meet Dog Trainer and Behavior Expert, Scott Sheaffer: Scott Sheaffer, CDBC, CBCC-KA, CPDT-KA, is a canine behavior consultant in the Dallas area who specializes in the assessment and treatment of fear, anxiety, aggression and phobias in dogs six months and older. In addition to private and group consultations, Scott conducts seminars for professional dog trainers, veterinary practices, rescue shelters and dog owner groups. He is a consultant for municipal animal control services and is a legal consultant in dog bite cases. Scott is the author of FRED™ (Functional Reactivity Exercise for Dogs) behavior modification – Real Owners, Real Environments, Real World™. He also authored Looping™ protocol used in canine behavior modification. He received his Bachelor of Science from Baylor University and has earned both the CDBC (Certified Dog Behavior Consultant) designation from IAABC (International Association of Animal Behavior Consultants) and the CPDT-KA (Certified Professional Dog Trainer) designation from CCPDT (Certification Council for Professional Dog Trainers) after meeting requisite education, experience and testing standards.